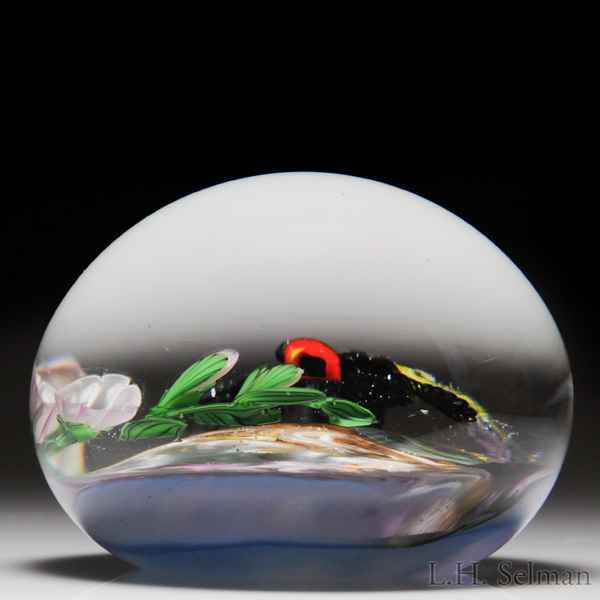 Eric Hansen 2012 dragonfly and morning glories paperweight. A dragonfly, with four black latticinio wings, a curving yellow tail and a red head, visits a curving green stalk of lovely pink morning glories and buds, against a vividly colored ocean sunset. Signed/dated. Minor surface wear. Diameter 3 5/16”.